The 1st piece of what I would call serious audio equipment I bought was a Harman Kardon HK 730. At the time, in 2005, it cost me $75 with one channel blown. I paid another $240 to have the the left channel fixed and all the power supply caps replaced. 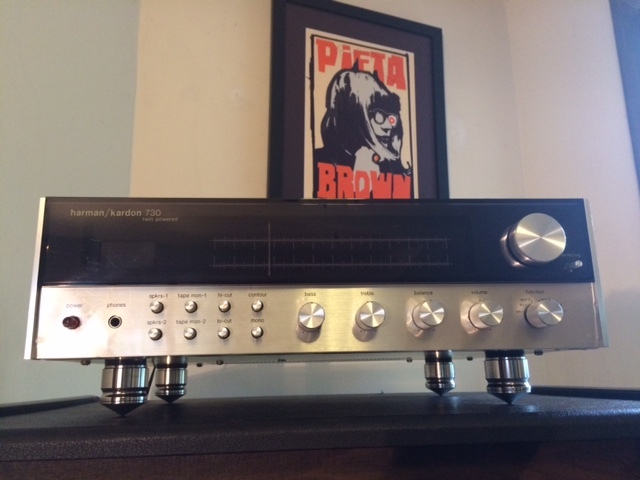 This is one of the more renowned receivers of the 70’s and the 730 has a special cult following with Klipsch horn owners. For me the sound is perhaps highly influenced by nostalgic feelings of my childhood and listening to music in the garage with my brother on my father’s stereo and 8-track player. 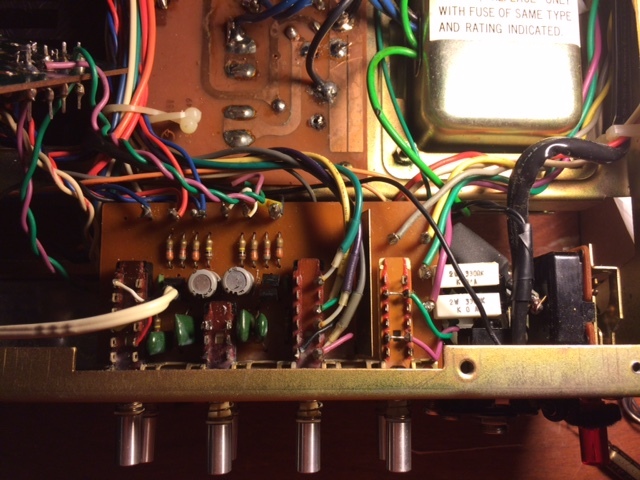 What I love about 70’s solid state is its all discrete componentry making these easy pieces to learn DIY on. The original HK730 that I purchased did not hold up well. After the first repair capacitor after capacitor kept failing and costing me $100 bucks each time to have one cap fixed! Enough was enough I said to myself. How hard could this be? Before you knew I had my HK730 in pieces. So much so that it know serves as my donor piece. The first lesson I learned about DIY audio is that if you are going to start a project start with a unit that is already working. So I purchased a second working unit to begin this project. I have already done several projects before this one, a Citation 17 & 19, an Audible Illusions L-1 line stage and Braun L-910 and Altec 1202B speakers. My audio journey has taken so far from were I began. My system has completely changed – several times! Now with my Altec 1202Bs serving main duties in my 2-channel system I am compelled to go back and finish were I started. The HK-730 pairs really well with high efficient horns and I intend to find out just how good it sounds. 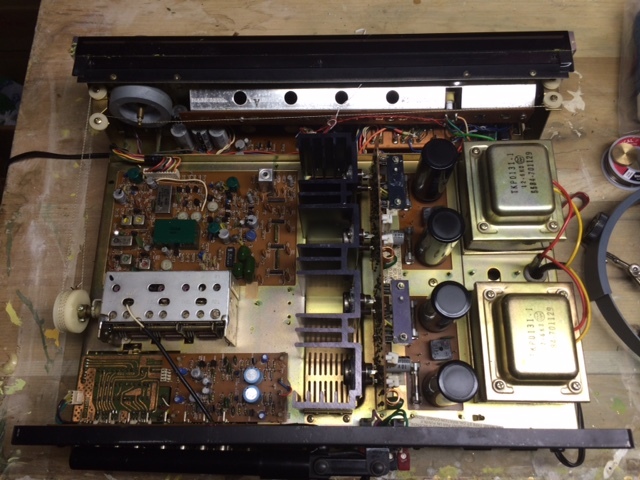 It also gives me an opportunity to demonstrate how much a set of AmCan Audio isolation footers can contribute to a well restored vintage receiver. When I am done I will shoot some videos of the final result so we can all have a listen. The first best place to start is with the main power supply caps. I wanted to stick with the original Elna electrolytics throughout but upgrade to “audiophile” branded caps. 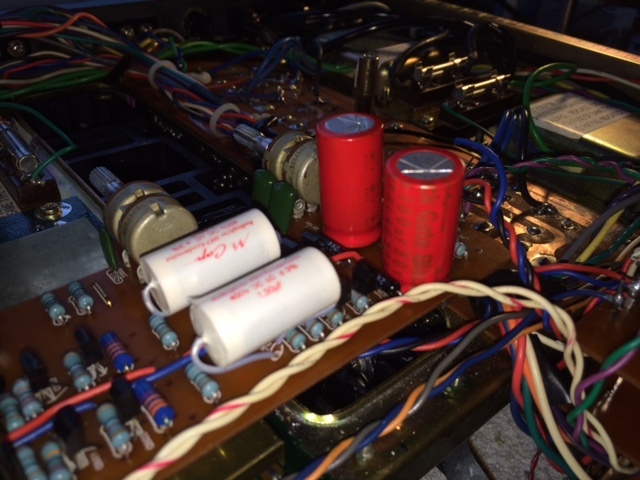 The Elna For Audio Caps are the predecessor to the Tone Rex caps and these are well regarded power supply caps. These caps were purchased from Digi-Key, removing suspicion of purchasing expired or fake caps from China. The Power Supply is the best and only place where consideration should be given to increasing capacitance. The transformers will have no problem with an increase of this size to the power supply. The Amplifier Section was hit next. My plan here was to use as many Shinkoh resistor in the signal path as possible. These are my absolute favorite resistor. They are in a word transparent without warmth or shrill. If I couldn’t find the right Shinkoh I could usually find a Riken to substitute, which is my second favorite resistor. If I use a metal film or tantalum resistor on the input I will try to use a carbon film on the output. I used Takman Rex carbon film or Rey metal film resistors in all noncritical places. Honestly I think either resistor sounds really good and they both have desirable qualities, which is why I try to balance how I use them throughout. 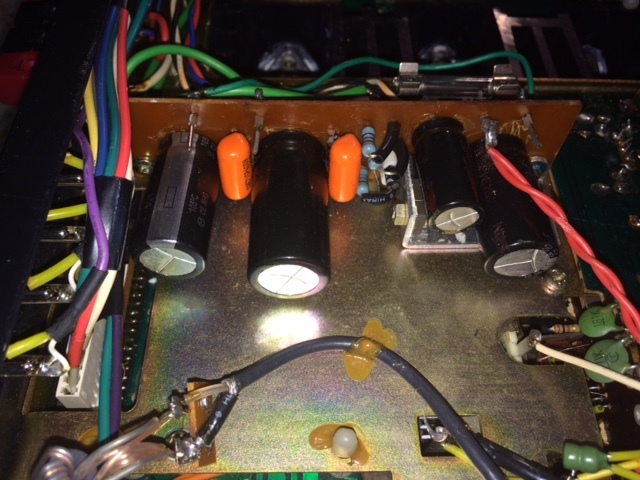 I used Shinkohs and Carbon films in the amplifier section because I wanted a warm transparent sound going out. For the output resistors across the transistors and the last signal resistor I wanted to try the Mundorf Metal-oxide resistors. The 5W M-resist are a nice size for this board. 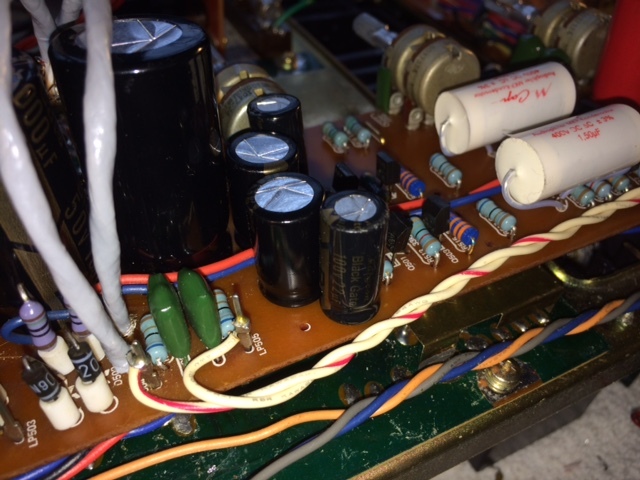 For the electrolytic capacitors I used Elna Cerafine and upgraded the one bypass cap to ground with a Jupiter Vintage Tone capacitor, which is Mylar/polyester film and Aluminum foil. The green dips used throughout the amp are also polyester but use a thin metalized film versus a separate dielectric layer. The Jupiter capacitor will have the same tone but with better stability and reliability. 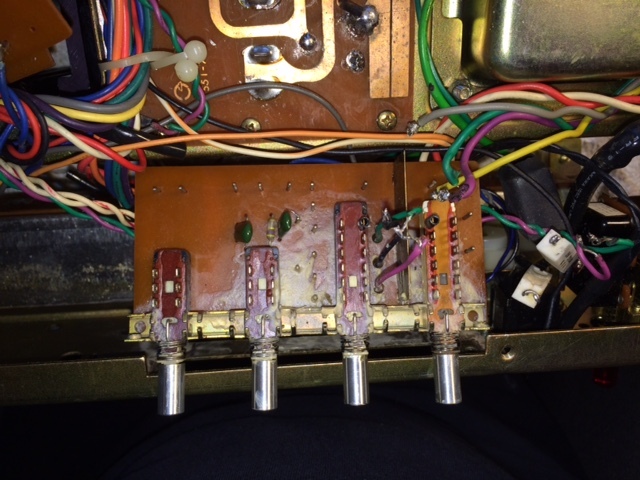 Lastly all the transistors were kept original. Going forward on my next Digikey order I plan to pick up some replacement pot/biasing resistors. The carbon film pots are so difficult to dial in but because I get most of my boutique parts from Parts Connexion, I hate paying for shipping for just one small part. 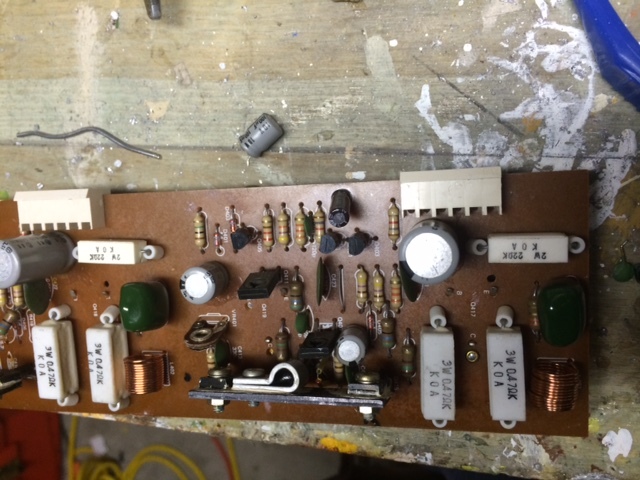 The sub rectifier board was the easiest part of the whole project. For this board I ended up using some Panasonic electrolytics that I had on hand from another project, plus a Cerafine. Its always good to use up left over parts from other projects especially if you paid good money for them! After each board was completed the board was re-installed to make sure it functioned before going on to the next section. Since the HK730 is Dual Mono I would complete one channel at a time and then reinsert the board trying to narrow my margin for error down even further. I didn’t do much listening to each section because I was anxious to get the whole receiver complete so that I could take it into work. I did redo the phono-preamp section for completeness even though I don’t intend to use it unless my Sonic Frontiers SFP-1 happens to break down. This is an important time saving tip. 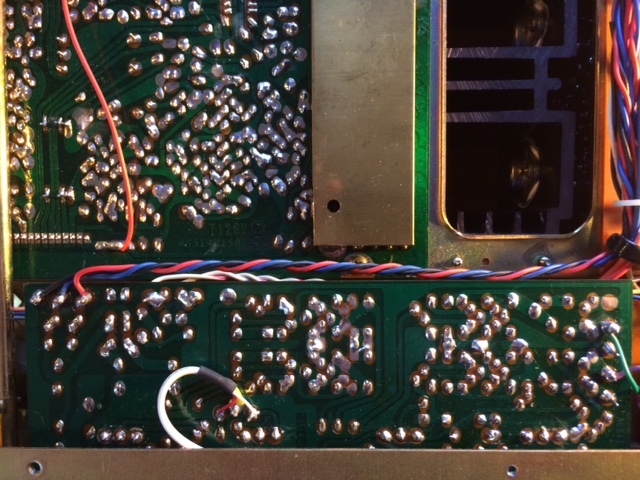 If I need to disconnect a board from the chassis to work on it I was always sure to photograph exactly what wires went where in order to install it back properly. I did listen to the phone section out of curiosity and found it to be very clear sounding but closed in compared to a tube phonostage. 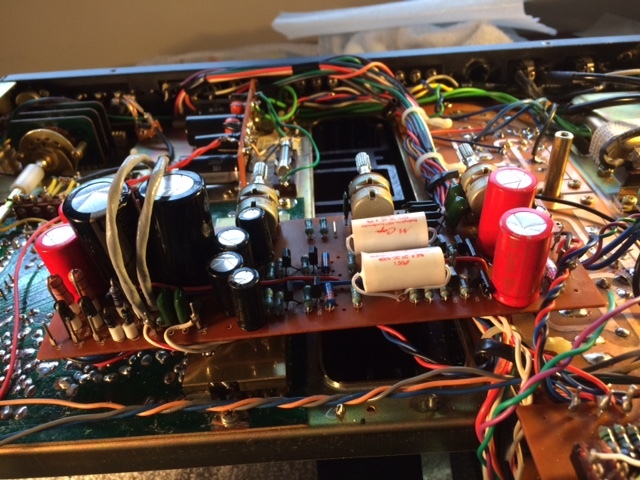 This Board is populated with Takman Rex Carbon Film resistors, Elna Cerafine capacitors, Mundorf M-Cap and Vishay Film Capacitors and a few left over vintage parts. I tried to keep a lot of the Green Dips to retain the vintage sound. The left over resistors prove that no matter how well you plan your purchase list you always miss something. By far the hardest section to work on was the control switch boards because they are difficult to get at and they have a whole bunch of wires running to them. They need to be removed from the chassis to work on them so its important to take lots of photos to remember how to hook them back into place. I could not believe the state of these boards when I first saw them. God only knows how many times these control switched were sprayed over the life of this receiver. The lubricant build up was disgusting and took me some time to get it cleaned off! To clean these boards I used isopropyl alcohol and plenty of Q-Tips. 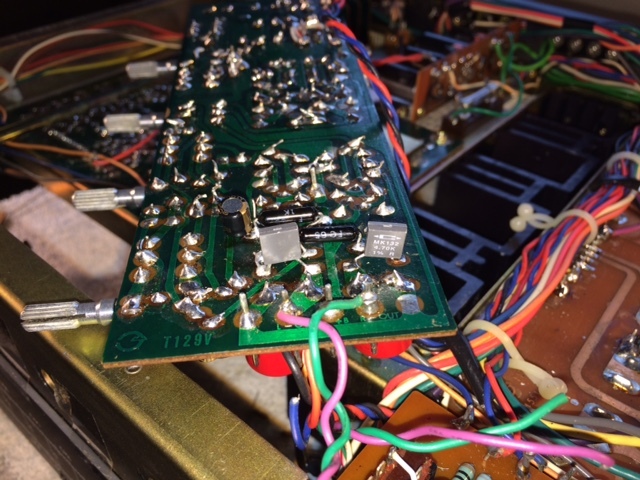 Removing the Preamplifier Board was not as difficult as the control switch boards but what I would learn later was that it was more difficult to put back because I selected some over-sized higher voltage rated capacitors. 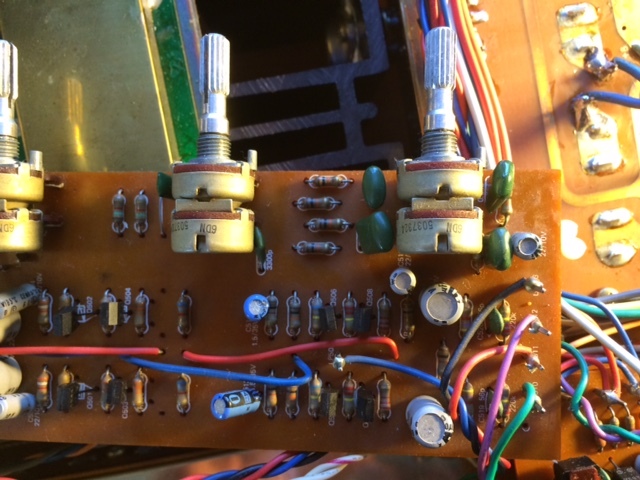 I did account for the space when I selected the capacitors but not the path of insertion for the board, which needs to bend around the FM section in order to get into its space. I have to say that this was my favorite section to work on because at the last minute I decided to break from my plan of using Elna Cerafines when I found out I was 1 x 1000uf capacitor short on my order of parts. When I went to my spare parts box the only spare 1000uf that I had was a N-nonpolar Blackgate! If fact I had enough N-nonpolar Blackgates to do most of the board. I had been saving my Blackgates for something special like a custom build. However, the day when I plan to build off a schematic seems to be so far away that I didn’t want these Blackgates to waste away and expire. So I said what the heck. This receiver has the potential to serve everyday duties for me at work so I figured it would be worth it if I’m going to listen to it quite regularly. In addition to the 1000uf Backgates in the power supply I had 2 100uf N series Blackgates to use as the output caps. Because they were 50V they took up a lot of space and this forced me to have to move some parts to the back of the board including the output resistors. Since I was using all metal films in the preamp section I wanted to match I had already planned on using some higher quality Caddock Film resistors going out from the preamp board. 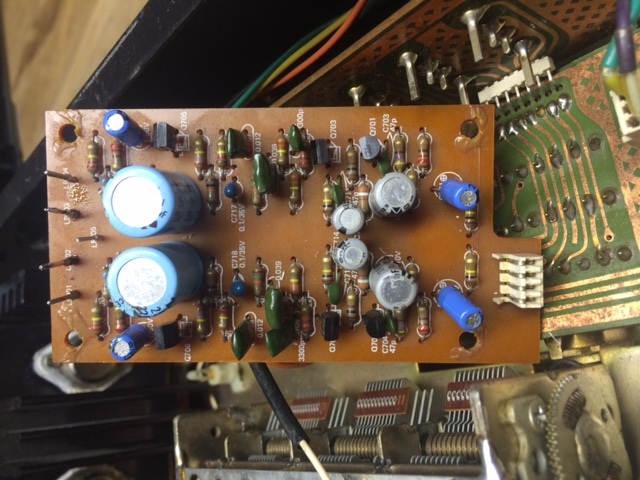 All the electrolytic capacitors on this board were either N, V, FK, or PK . 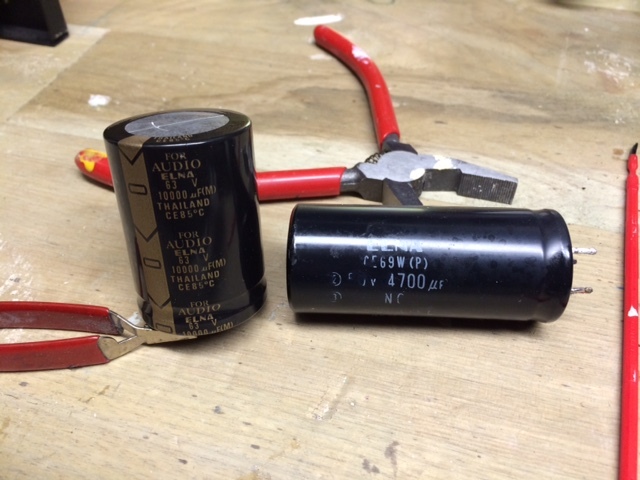 I was able to fit a M-Cap once again for the 1.5uf signal capacitor. 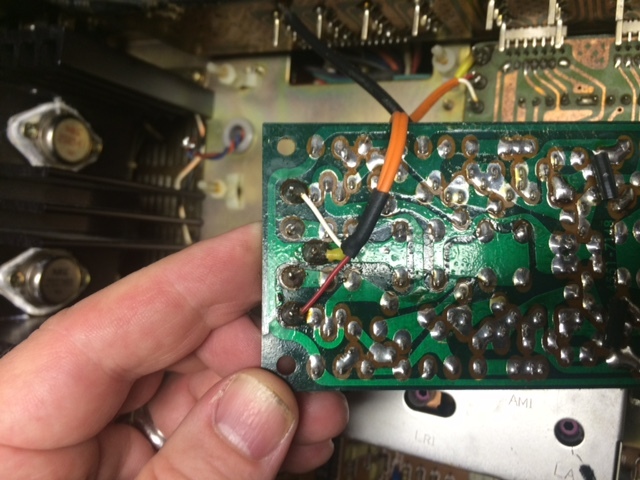 Most resistors on this board are Takman Rey metal film. I did have a bunch of Holcos lying around that I was able to use as well. I am certain that I was able to fit at least one Shinkoh and Riken in the signal path as well. 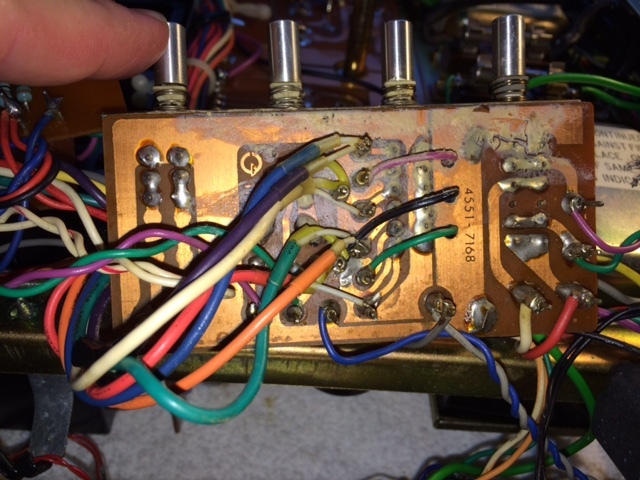 Lastly I replaced the wire leading to the center tap of the volume potentiometer with shielded double stranded silver plated copper hook-up wire. 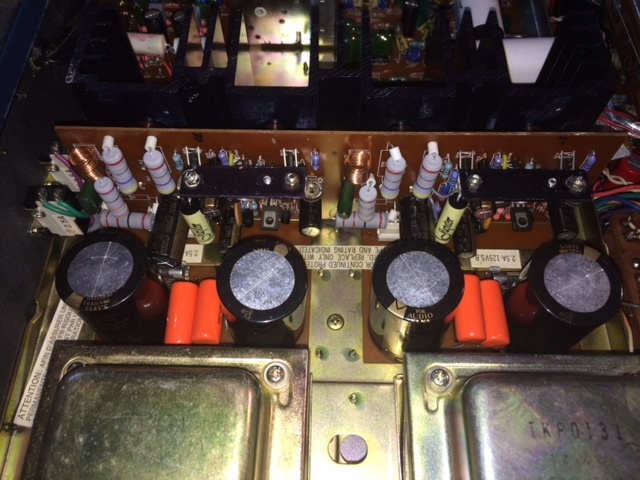 For the Tuner Section I replaced all the electrolytics with Elna Cerafine capacitors except I was able to use some Multicap 10uf film caps for 2 signal capacitors that I pulled out of my spares box. I had no intention of replacing the resistors but ended up doing more than half of them with whatever spare resistors I had on hand as well. The final touch was replacing the stock feet with my own AmCan Audio medium Stainless steel CNF isolators. I’d love o share my thoughts on how I think this turned out but I don’t want to taint the viewers experience. After you watched and you want to know my thoughts then drop me an email. There are still lot’s more videos I need to edit and get up on the site so keep checking back. 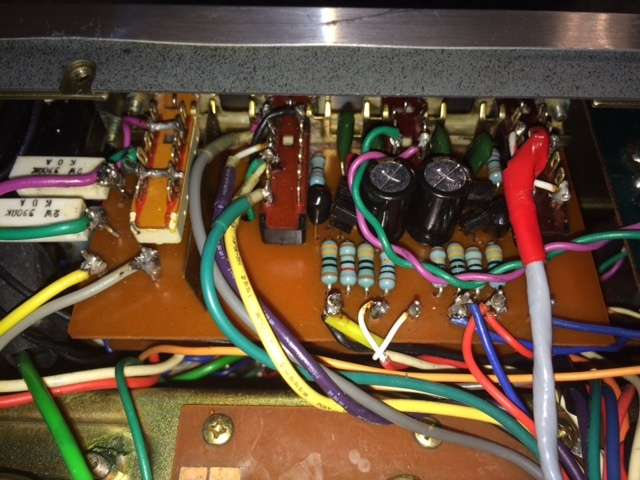 This entry was posted in DIY Projects on June 23, 2015 by admin. 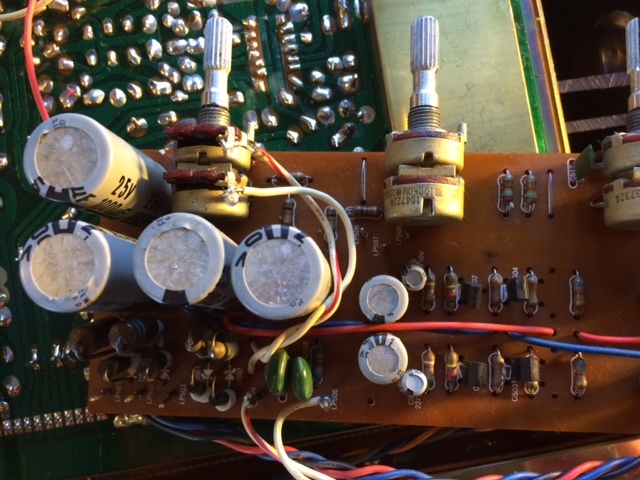 I met Dennis Had when I was looking for a SET amplifier to drive my 100dB Altec Horns. 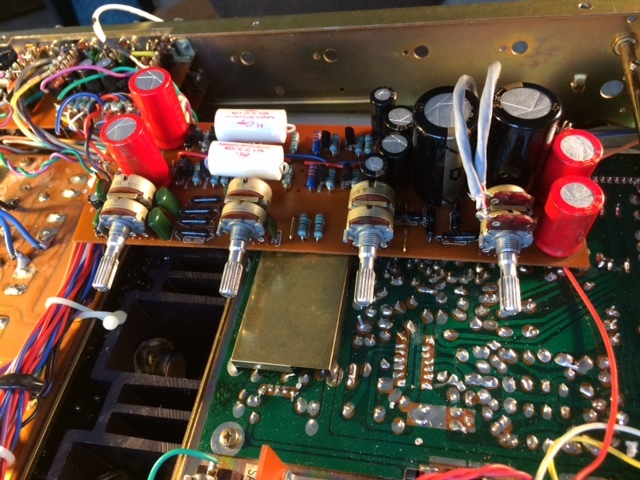 I came across his add on EBay and after reading about the inspiration behind his new line of Inspire Amplifiers I knew that his offering was something not to be passed up. You see Dennis is the former founder and President of Cary Audio of North Carolina. 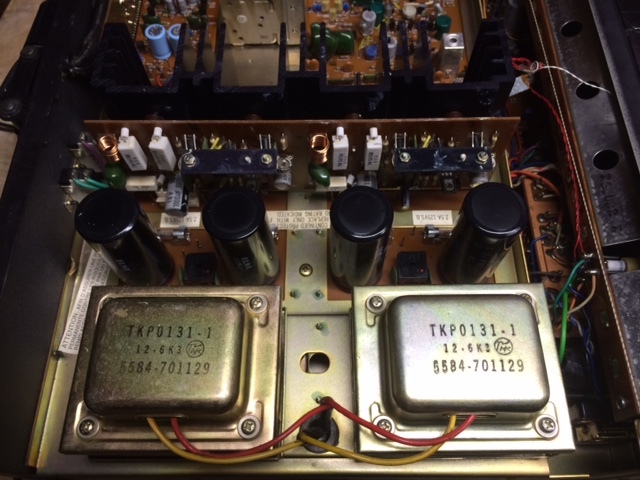 Dennis is now retired but still driven by the enjoyment of amplifier building that he discovered as a kid growing up. 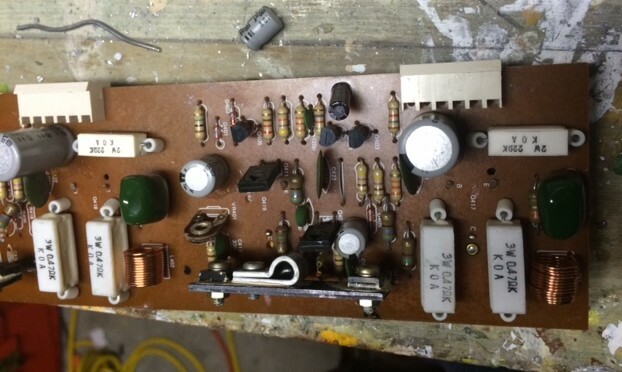 Dennis hand builds and signs each amplifier and then sells them on EBay for about a third of the cost of what you would pay for a commercial amplifier of this quality. 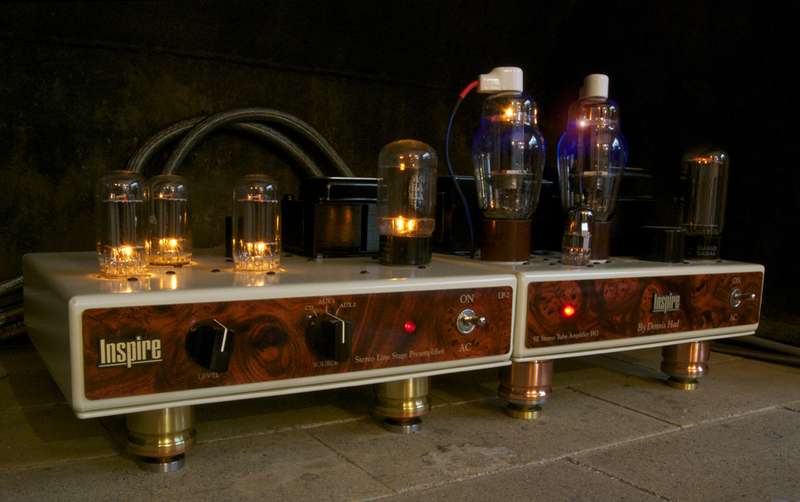 I personally own a Sweet 807 SET amplifier and custom made 6FM7 preamplifier. 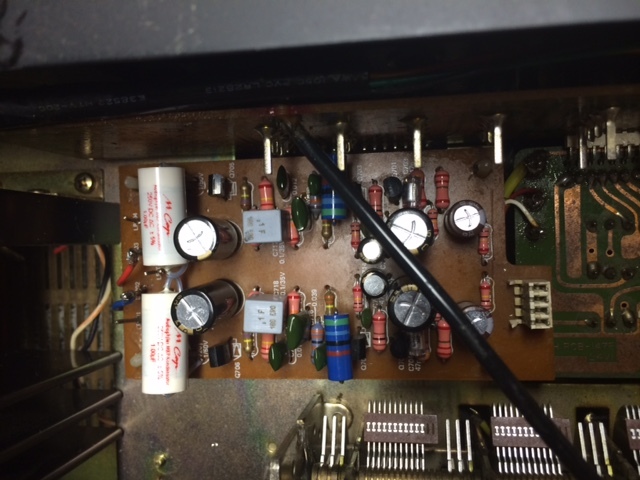 What’s scary is that as good as the Sweet 807 is the preamplifier is the absolute gem of the 2 pieces. I have never heard a better preamplifier. 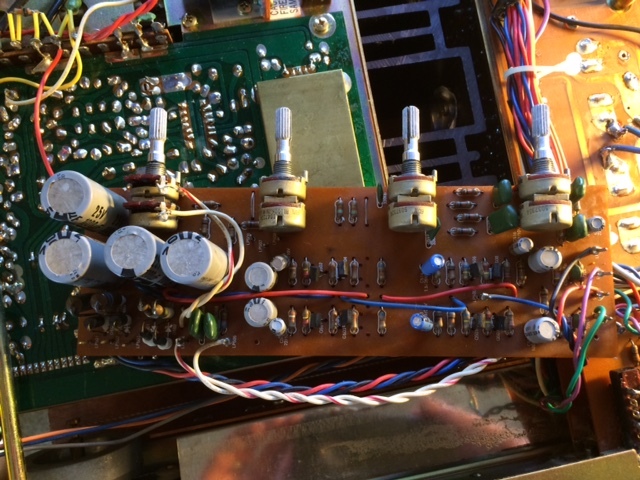 The preamp uses a horizontal sweep tube and it is dead quit while still creating the most live sounding musical reproduction that I have ever heard from a 2 channel stereo system. Of course it doesn’t hurt that both my units are equipped with AmCan medium isolation footers. 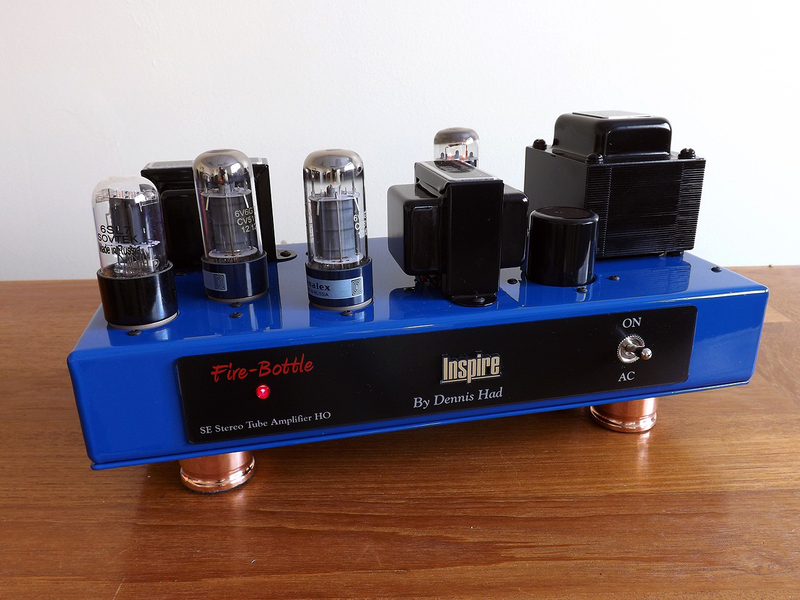 I like the warm lush sound of the brass footers under the preamp and the liquid smooth presentation of the copper footers under my Sweet 807! I was so Inspired myself by Dennis’s story that I reached out to him and sent him a set of copper footers to try. 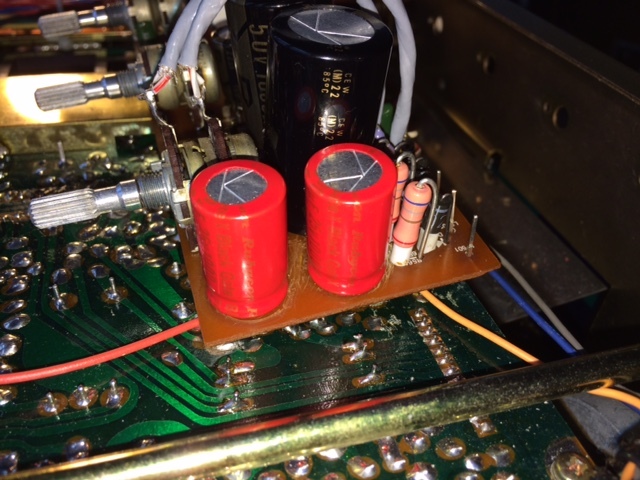 Dennis uses them on his personal KT88 SET amplifier and is now offering it as an upgrade option to his 6V6 SET. This amplifier is now being offered on EBay and believe me these amps don’t sit for long before they are snatched up. Check out the link below for more information on how to purchase one of Dennis’s amplifiers. Dennis Had LP-2 w/ AmCan Med. Brass and 807 SET w/ AmCan Copper. This entry was posted in News and Announcements on June 14, 2015 by admin.